Dog swims at outdoor swimming pools and lidos are a thing. 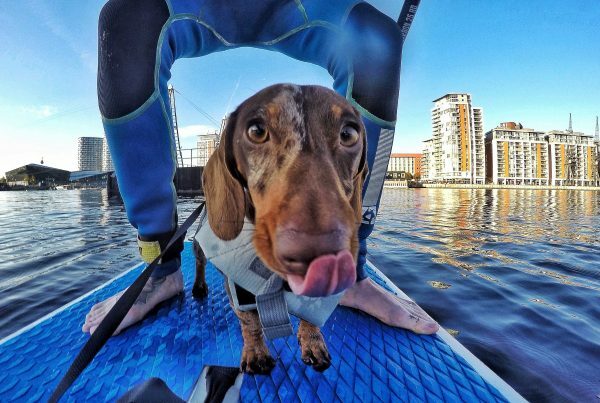 So where and when can you take your canine friend to one of these? This weekend we headed to Saltdean Lido, in Brighton and Hove, for the second edition of theirs (which was glorious! ), but are there any other venues? 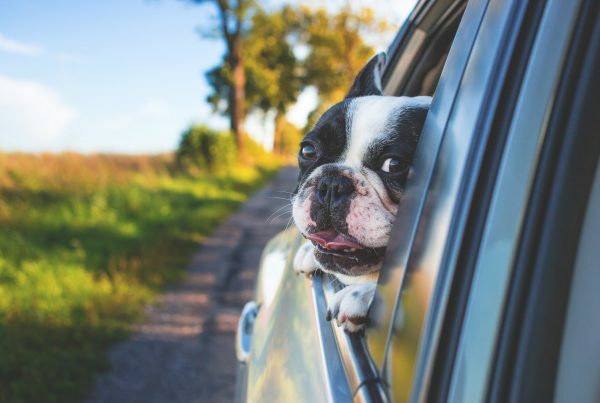 We found 6 lidos and outdoor pools hosting dog days and swims around the UK, and we tell you all about them, so you can plan your next dog-friendly getaway around those! The Chipping Norton Lido (also known as Chippy Lido) is the lido where all began in the UK. Their first Dog Swim took place in 2013 and they told us that this was after a Dutch visitor mentioned that it is something they do in The Netherlands. “At that first one (the first in the UK), there were three dogs. Interest in subsequent events grew to the extent that, in the last few years, we release news of the date and how to buy tickets mid-season and it sells out in hours”, told us Claire Williamson, one of Chipping Norton Lido’s trustees. “This year it was a real pleasure to welcome Countryfile’s Adam Henson and his dogs to the event, and local canine hero, Eddy, who will be more famous to younger viewers of Channel 5’s Milkshake in his CGI form as a co-star of ‘Shane the Chef'”, noted Claire. Chippy Lido confirmed that they only hold “one session, on the last day of our season, after the last human swimmers have finished. 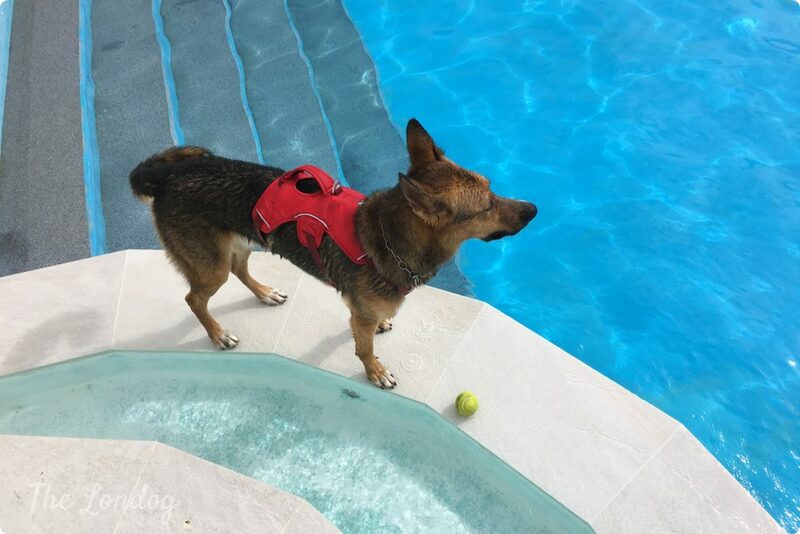 Obviously dog-owning humans can still go in the pool with their dogs!” They also confirmed that they cap the number of dogs participating to the event to around 80, which they say it’s enough for canine mayhem fun. If you are interested in seeing what it looks like, you can watch a video from their 2016 edition on BBC here. The last Dog Swim was held on 9th September 2018, while 2019’s date has not been announced yet so stay tuned. Tickets: 2018’s ticket price was £12.50 per dog and the dog’s family and friends get in for free. Chippy Lido’s team also noted that The Dog Swim is an important fundraiser as well as being great fun: it contributes to running this community-run facility (which has a committee of voluntary trustees taking ultimate responsibility for the charity that underpins the limited company). Saltdean Lido is an art deco lido, minutes from the sea, in Brighton and Hove. 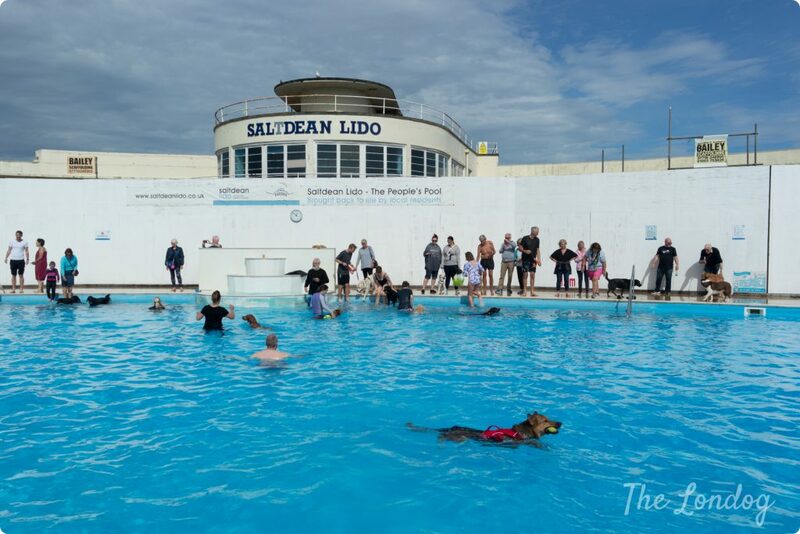 Taking inspiration from Chippy Lido’s Dog Swim, Saltdean Lido held its first Dog Swim in 2017. Jules Shepherd, from Saltdean Lido Community Interest Company, explained to us that all Saltdean Lido’s crew are dog lovers and they have one or even two dogs each, so for them this is the best day. Jules has two rescue dogs herself, Huxley the hound cross and Heidi the flatcoated retriever corgi cross, and funnily enough, they both hate water and don’t even dare to venture in the paddling pool. The best reward, for her, is that humans and dogs “come in smiling and goes away grinning all over”, she said. The first Dog Swim they hosted received an incredible media attention. On 15 and 16 September 2018, they did it again, shortening the sesssions (last year 4 hours each), in order to accomodate more dogs, and they sold out again! This time we were able to go along. Argo the dog is water-obsessed and he really had the time of his life, running, swimming, diving for the whole 1.5 hours, without a pause. It was a wonderful canine pandemonium, balls everywhere, dogs running, playing, barking, swimming, diving, with others staying well away from water. With 4 swimming sessions per day, of 1.5 hours each, Jules told us that they welcomed some 1,000 dogs over the two days. They had capped the number of dogs (and swimmers) at 150 per session for health & safety reasons, taking into account the number of lifeguards present. The dates for 2019 edition will be announced soon, but they already told us that this year they will be holding 2 dog swim weekends instead of one! We will announce the dates on our Facebook page as soon as they are confirmed! Tickets: For the 2018 edition there were 3 different type of tickets, for dogs and human swimmers (£ 7.70 each) and for spectators (£3.85). Jubilee Pool is an art deco seawater lido located in Penzance, West Cornwall. We visited it in September 2018 and it is a very lovely place. 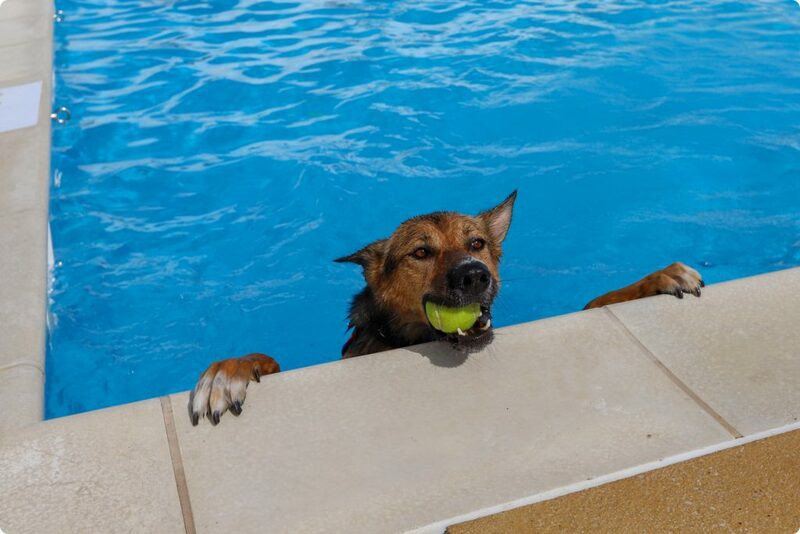 While its cafe is always dog-friendly, as all other lidos, dogs are not allowed in the pool. But the rule does not apply on one particular day of the year, at its end of season, the Jubilee Pool Dog Day! Jubilee Pool hosted its first Dog Day in 2017, in occasion of the end of the season, and it was an incredible success. For this reason, they decided to do it again. In 2018, the date was 30 September and the programme of the day was probably the most exciting of all the lidos and pools hosting similar dog days. 15.00-18.00: general larking, woofing, paddling and panting, maybe some rolling and ball catching. We confirmed with them that no pre-registration was required and people could just turn out on the day. They have a maximum capacity of 600 on poolside and 400 in the water, and dogs and owners’ presence is not articulated in sessions, but could stay for how long they wanted between 10.30am and 6pm. The also hosted special sessions for nervous dogs in a roped off area of the pool in collaboration with The Soggy Dog Co.
2019 edition: we confirmed that Jubilee Pool is hoping to continue to host a dog swim day, despite a change in their openings, as they will become a full-year round open pool. More details to be confirmed. Tickets: Normal entrance prices apply (£4 per person) + £3 per dog (all proceeds go back into the community run social enterprise which runs the pool, Jubilee Pool Penzance Limited). We are currently confirming whether pre-registration is required. More information about the Jubilee Pool Dog Day on their blog. Also Sandford Park Lido, in Cheltenham, Gloucestershire, started off its dog swim in 2017. Sandford Park Lido hosted the 2018 edition of the Lido Dog Swim on Saturday 13th and Sunday 14th October 2018. The first to announce its 2019 dates, Sandford Parks Lido Dog Swim will be held on 12th and 13th October (more about it here). Swimming sessions: Sessions are much shorter than the ones organised at Saltdean Lido (unfortunately) and last 30 minutes each (a bit too short in our opinion). Tickets: For the 2018 edition, tickets cost £10 + admin fee and get access for one dog + 2 accompanying humans (additional spectators £3). Other conditions: minimum one person (+16) per dog, dogs on a lead unless when they are entering water. On 2 April 2018, at Shoalstone Seawater Pool was hosted the FOSP (Friends of Shoalstone Pool) Doggy Swim. A second date was scheduled on Saturday 15th September 2018, for a Doggy Swim & Play, lasting one hour only. The event raised a good amount for the pool. 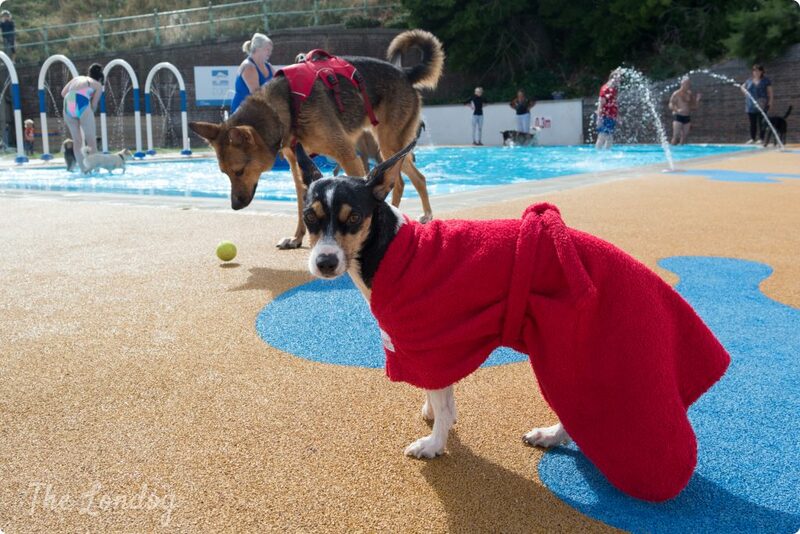 We confirmed with Shoalstone Sea Water Pool that they will be hosting other dog swims this year. The next date will be Good Friday, 19th April 2019, from 11:30 to 12:30pm. There will be tennis balls galore to chase, and tea for owners to enjoy. Tickets: 2018 tickets were £3 per dog. 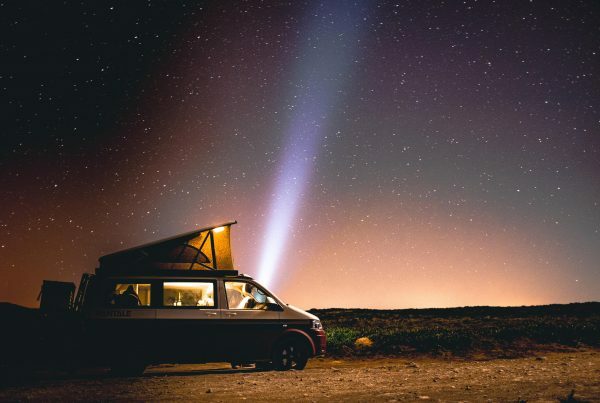 No information is available for 2019’s event yet regarding the price. 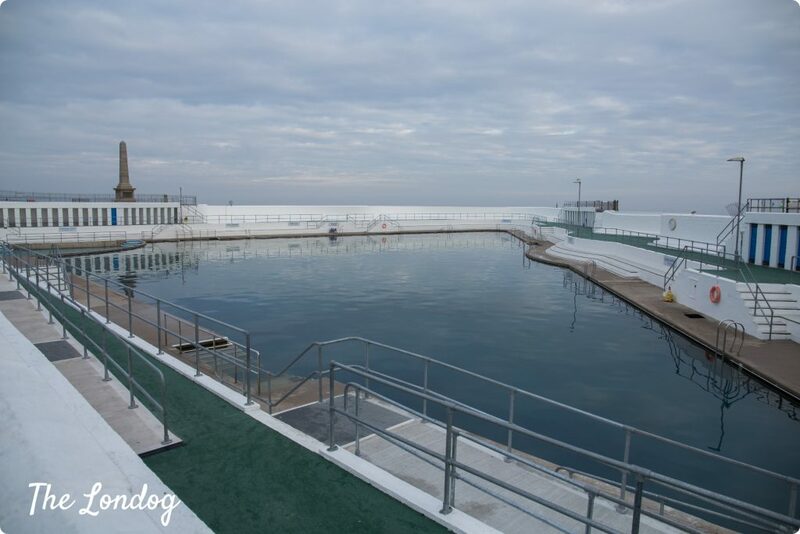 In 2018 Portishead Open Air Pool, on the example of Sandford Parks Lido and Saltdean Lido, decided ride the wave and host its first dog swim too. Their “You’re #TopDog – Dog and Owner Water Safety Swim” took place on 30 September 2018, and tickets for dogs (which costed £5 plus administrative fees for sessions of 30 minutes each) did sold out quickly. 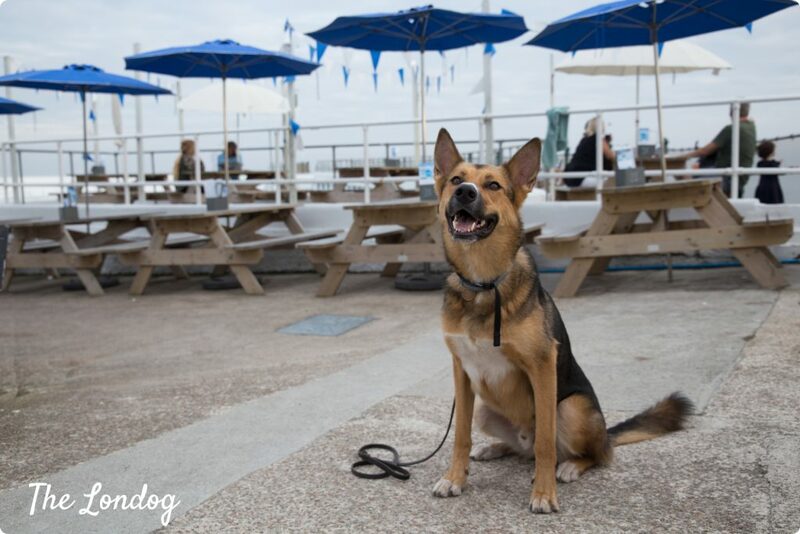 However, Portishead Open Air Pool said that spectators without dogs were welcome to go along to watch and ask questions to the experts from the emergency services present on the day, about who to keep safe dogs and owners in and around water. You can read more on their blog here. (Added 19 September 2018): One more dog swim to add to the list! Woodgreen Leisure Centre, in Banbury, Oxfordshire, joined the fun and hosted its first dog swim on 16th September 2018. Sessions: 50 minutes per session (not possible to book more than one session per dog), with 10 minutes for turn around time. All conditions detailed at this webpage here. 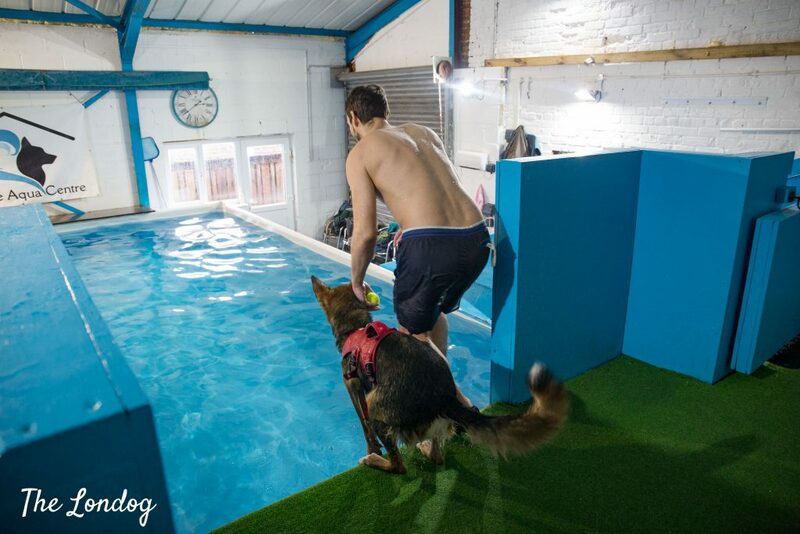 London dog swim events at pools & lidos? But what about London? Is there any place in the capital hosting similar days? 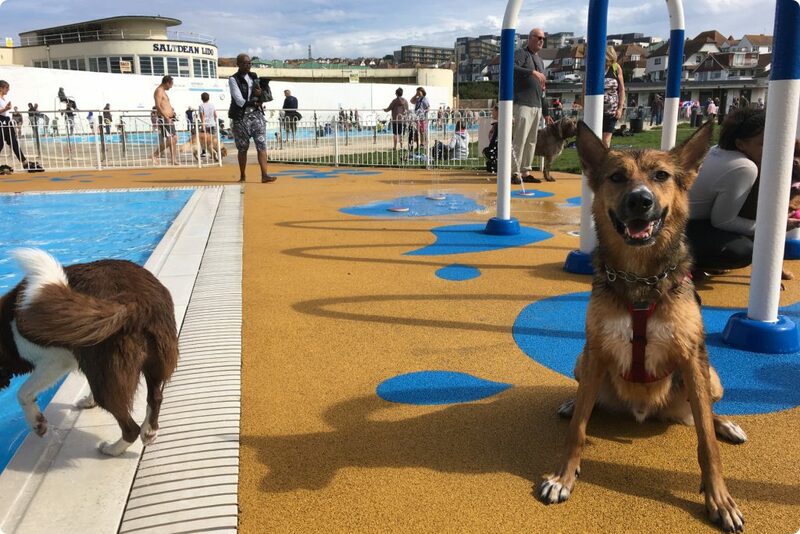 Back in July 2018, dog sitting and walking network Rover, to celebrate its UK launch, hosted a Dog Swimming Gala at the West Reservoir Centre in Hackney, with 20-minutes swimming sessions, a race and other activities. 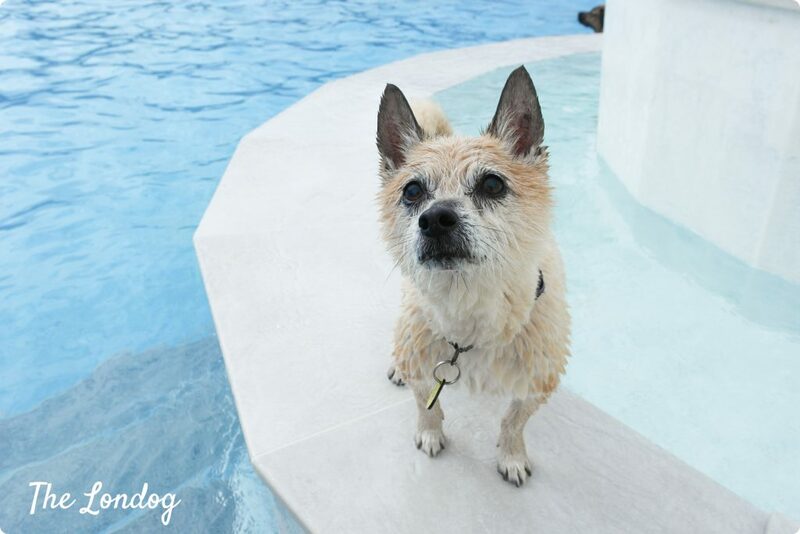 While we are not aware of any further planned dog swim event in London, you can take your dog to swim in one of the dog-friendly swimming pools in London we tell you about in this guide! If you prefer a Summer alternative, you can fall back on London dog ponds and invite your dog friends for a group swim too. Are you planning your next holiday on the ground of the next Dog Swim?